Shopping - 7.00 mile(s) from Las Vegas Strip, Famous street featuring exciting casinos, hotels, shopping and restaurants. From: McCarran International Airport. 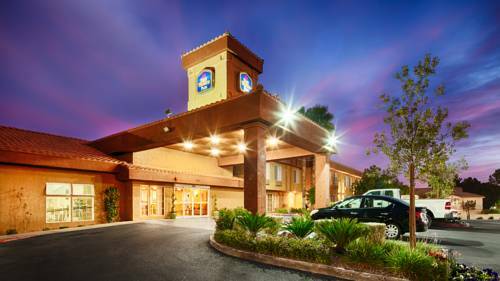 Take Interstate 215 W to Exit 25 for Sahara Ave. East, continue East and cross Lake Sahara Drive, the Best Western Plus Las Vegas West is on your right. From: California. From Interstate 15 N to Exit 34 take I-215 W, take Exit 25 for Sahara Ave. East, continue East and cross Lake Sahara Drive, the Best Western Plus Las Vegas West is on your right. From: Arizona. From Interstate 95 N to Exit 81A merge onto Summerlin Parkway, turn left at N Durango Drive, turn right at Sahara, make a first left entering toward Best Western Plus Las Vegas West. From: North. From Interstate 95 S to Exit 81 for Summerlin/Rainbow, turn left at N Durango Drive, turn right at Sahara, make a first left entering toward Best Western Plus Las Vegas West. Red Rock Canyon,23.00 mile(s) from Red Rock Canyon, beautiful hiking, biking and recreational area.